Friday Nov. 30 at Om Culture. 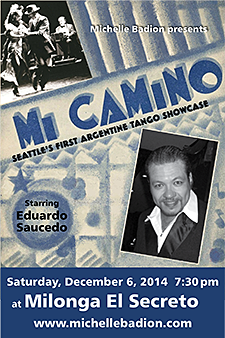 This will be Seattle's 5th Argentine Tango showcase and every year the dancing gets more exciting. After the show stay and dance the night away. 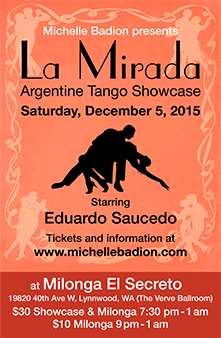 $35 for both the show and milonga. $15 for just the Milonga with live music and DJ Eduardo. 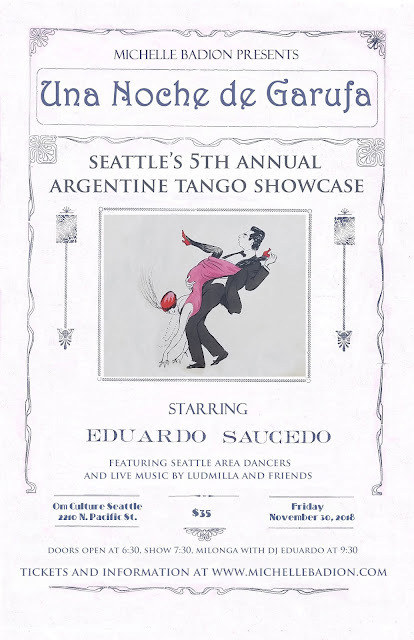 From 7:00-9:00 you will enjoy a fantastic show highlighting the many moods of Argentine Tango. After 9:00 the Audience will stay to enjoy social dancing. 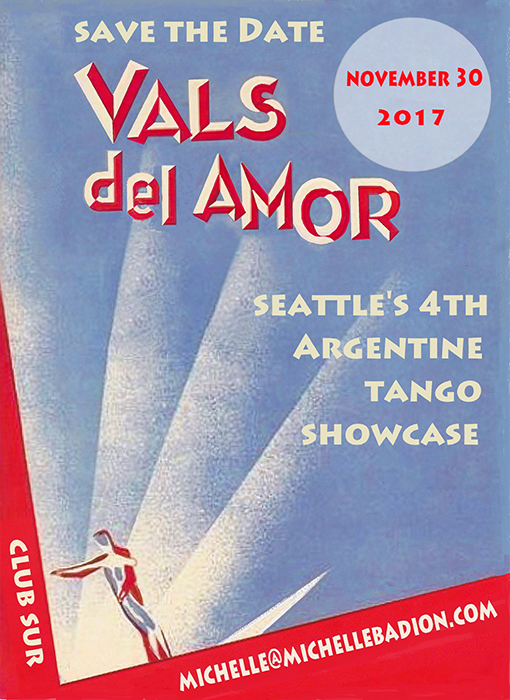 If you already dance Argentine Tango this is your chance to support your friends and if you have never danced this is a wonderful evening to experience both the performance side and the social side of Tango. 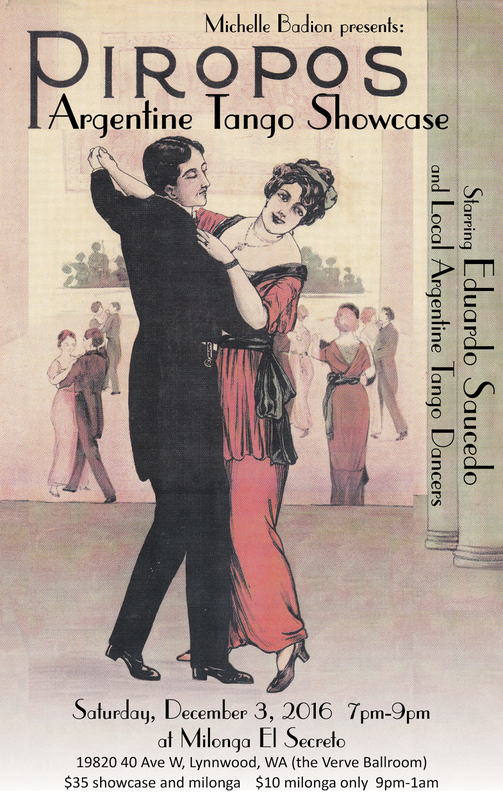 These Posters are old sheet music from Argentina. Gery Rudolph and Richard Baxter do a great job creating the Posters keeping the Authentic Designs of the sheet music.